This Thai Coconut Chicken Soup would not be considered an authentic recipe for Tom Kha Gai, but I think it succeeds in delivering the flavors of the Thai soup using ingredients that are readily available for most people. The inspiration for this recipe came from one that I found on epicurious.com; it is credited to Sue Ellison and originally appeared in Bon Appétit. I decided not to use curry powder and I added ginger, garlic, mushrooms, and fish sauce (nam pla). I was aiming for a soup that would be similar to one we used to get at Thai Thai, our favorite Thai restaurant which, sadly, closed last year. I used chicken breasts, but I think you could use boneless skinless chicken thighs for this recipe if you prefer. 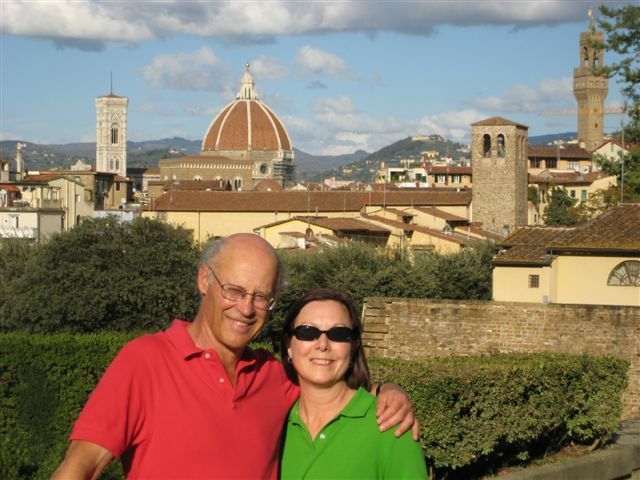 Bob and I agreed that this turned out pretty darn good. It’s definitely something I would make again, but I may play around with it some more. 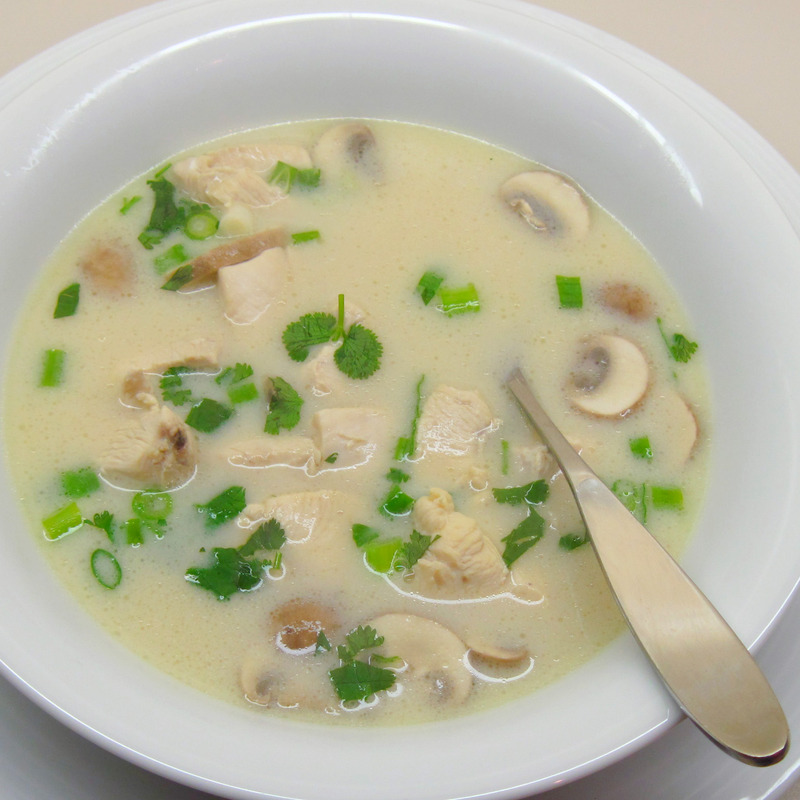 Note: If you can get galangal root, use it instead of the ginger for a more authentic Tom Kha Gai. 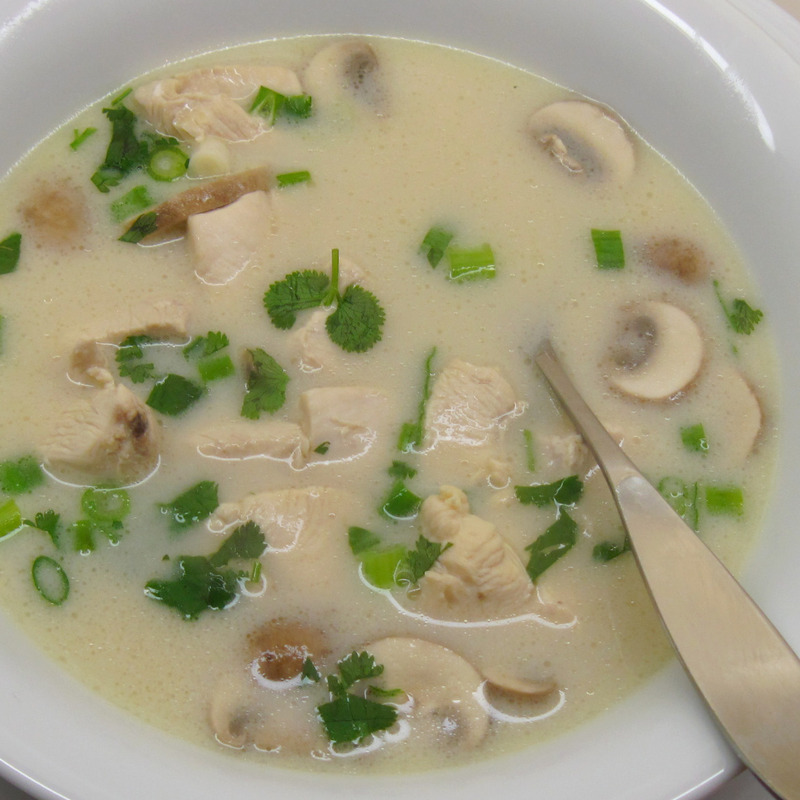 (“Tom Kha” means galangal, and “Gai” means chicken.) Use a piece that is about 1½ inches long and slice it into thin discs. This was quite tasty, though, made with the ginger. 1. 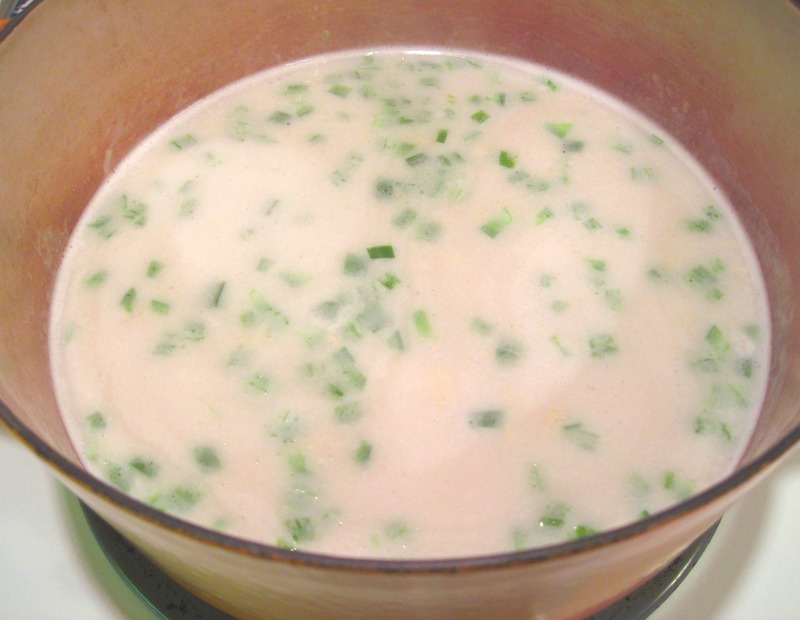 Bring the chicken broth, coconut milk, minced jalapeno pepper, ginger, and garlic to a boil. Simmer for about 10 minutes. 2. 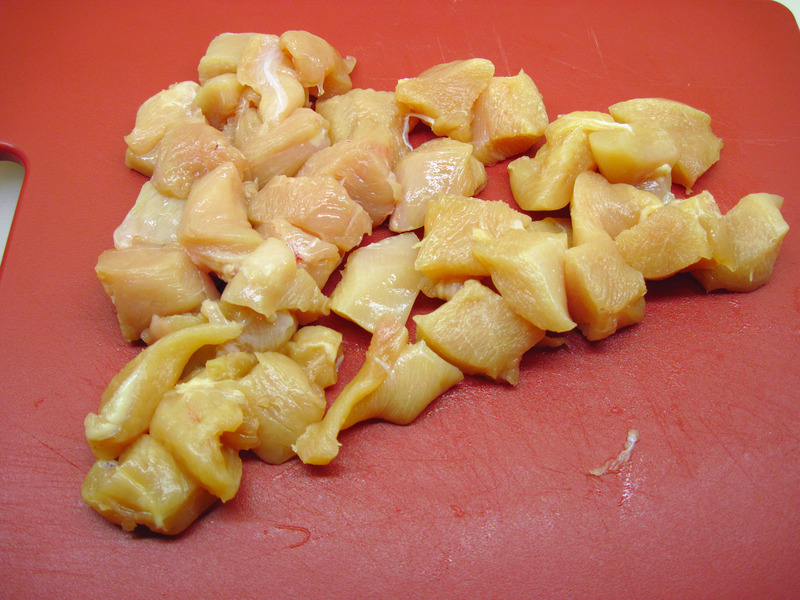 Cut the chicken into small pieces. 3. Add the chicken and mushrooms to the simmering broth. Bring back to a boil, and then reduce the heat so it’s at a low simmer. Simmer for about 10 minutes, until the chicken is done. 5. Garnish with green onions and cilantro. 6. 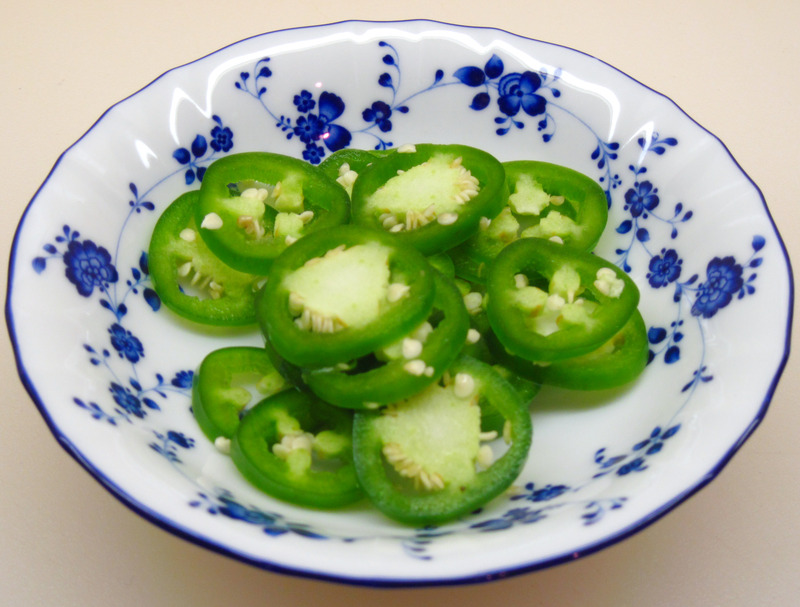 Serve sliced jalapeno peppers separately for those who want to add them to their soup. sounds like a wonderful soup recipe! I have never had Thai soups, but yours does look delicious! I need to try more soups like this for my girls, what a great way to expand their food knowledge! I’ll bet your girls would enjoy Thai soups! Thanks for your comment, Dennis. Being a person who is from SE Asia, I do enjoy the Thai food as well. My fave of Thai foods is Tom Yum Goong. Btw, I love the colour of your spoon. I had to look up “Tom Yum Goong”, Pepe! (I’m not very good at the Thai names.) It’s a hot and sour type soup with shrimp, right? I like that one, too. I might have to try making it sometime. Thanks for your comment!